Makeup should be applied according to your facial features. The skin color, the shape of your eyes, your nose and, in general, all your features should be taken into consideration prior to applying a makeup. Each of your features demands special attention to be presented in the correct way. If you want to have a flawless look, always consider these factors prior to highlighting your face with a makeup. Some of us have some unwanted parts on the face that we aim to hide, so we turn to makeup application tricks to get the result. A clever makeup always reshapes any imperfection easily. Simply be honest to yourself and consider your advantages and disadvantages and therefore tend for the appropriate makeup. 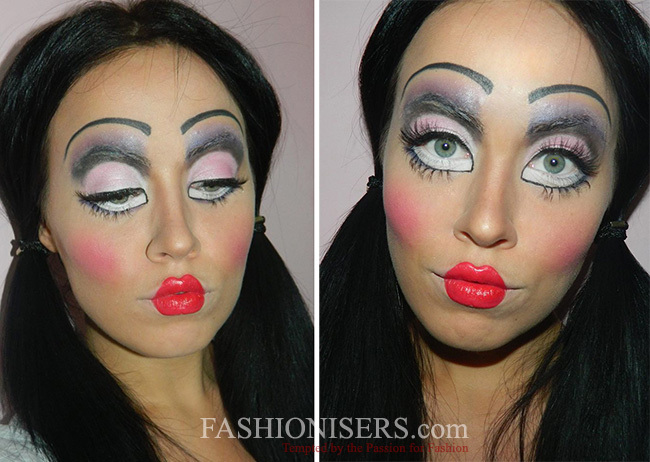 A makeup should first of all be suitable for your face. For foundations, for example, you should take the color that is identical to your skin color and you can have even one tone darker foundation for a highlight. The same can be experienced with blushes as well, since the two colors, one lighter and the second a bit darker create a very fabulous mixture that matches almost every skin type. Let’s examine every face type separately and see what matches each of them perfectly. As you know there are a couple of shapes, like round, square, diamond, heart and oblong. Each of them is a unique shape, so makeup should be applied in harmony with the shape. If you have a round face with full cheeks and a rounded chin, your main goal should be making it look slimmer. Feel free to use the darker shade of foundation on your cheeks. It really works well, since visually your face is slimmed down. Whereas applying the lighter foundation on the forehead will make your face look longer. When it comes to the eye makeup, go for darker shades, like versatile browns and plums. Make sure to highlight the jaw line, temples and cheeks to have a more oval like shape. If the distance between the two edges of your forehead and the cheeks is the same and you have an angular jaw, this means you have a square shaped face. With such a shape you should do your best to make it look as much oval like as you can. You can do this by applying a lighter tone of foundation on the middle of your forehead and under the eyes. Look into the mirror and draw an oval face line for yourself. Once you do so, apply a darker shade of foundation on the areas outside of the oval. This way, you can distract the	attention	from the corners of your square face. Applying blush on the cheek apples, you can make your face look oval. Use matte or darker colors. If you have an oval shaped face then you are one of those luckiest girls, since every makeup seems to go well with this shape. Feel free to experiment every makeup tip and trend and you can be on the safe side that the latter will suit your features perfectly. You neither have to elongate, slim down nor shorten your face. All you have to do is accentuate your features with the correct choice of colors and application tips. Girls having this shape have a wide forehead and a narrower chin. So they are advised to distract attention from the chin. Create a more oval like shape by applying the makeup correctly. Focus on your eyes. When working on the upper part of your face, you will draw attention away from the narrow chin you have. 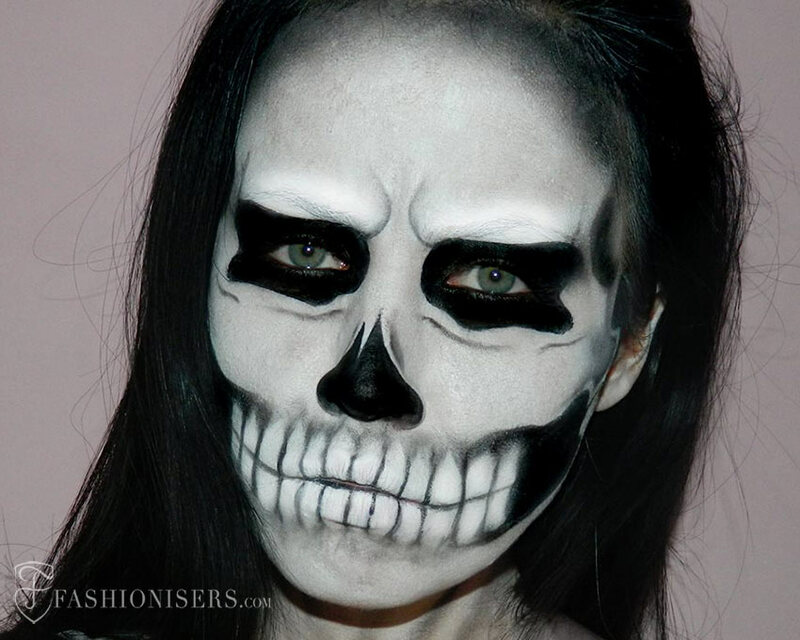 Use a black eyeliner, mascara and vividly accentuated eye shadows for this purpose. The oblong face is characterized by high cheek bones, a raised forehead and distinct jaw line. In order to shorten this face shape, use a little of bronzer on the chin. Use light color of foundation on your temples, the jaw line and cheeks. Use darker foundations for the remaining parts on the face. You can also apply extra blush on the apples of the cheeks to emphasize your cheek bones. Go for more natural blush tones. When it comes to its application, do it with horizontal strokes instead of vertical ones. With this particular face shape, the cheekbone is the widest area. Therefore, the goal of the diamond shaped face is to make the cheek area look narrower. Always try to put the emphasis on the chin and forehead. Cover your jaw line with a darker shade of foundation, while the area under your eyes should be covered with the lighter tone. What concerns applying lipstick, keep in mind that you can create a wider look with the help of pale toned lipsticks. With all these easy makeup tips you will be able to first learn which of the shapes your face is, unless you already know it and apply the makeup accordingly to have a charming look.